Every year, more products enter the market with specific temperature profiles that must be strictly maintained to preserve their efficacy. Marken is uniquely qualified to provide the packaging, logistics, and transportation services needed to ensure product integrity at every step in your process. 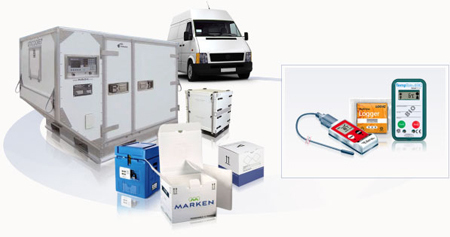 In transit or storage, Marken has the capabilities to ensure your pharmaceuticals, biological samples, medical devices, and diagnostic equipment stay within proper temperature ranges at all times. Our cold chain solutions includes a range of qualified thermo-regulated packaging, both active and passive. Marken’s temperature monitoring services provide you with the assurance of knowing your product’s integrity is never jeopardized. Not only do they provide you with data about the temperature of your product in transit and in storage, but this data is provided to you quickly, using Marken’s unique technology solutions.